Joseph Audio proudly introduces the new Pulsar2 Graphene. Since its inception ten years ago, the Pulsar has been widely acclaimed as the best Mini Monitor in the world. Until now. Joseph Audio is pleased to announce the successor to the Pulsar - the new Pulsar2 Graphene. The key element to this upgrade is a newly engineered woofer. While it retains the cast Magnesium cone - a material still unsurpassed in its ability to faithfully render the full beauty and detail of the musical performance - the new Pulsar2 Graphene’s woofer harnessed the power of Finite Element Analysis to examine and optimize every aspect of the woofer’s new motor systme and suspension. The Pulsar’s outstanding bass performance is further enhanced, while the clarity and detail are rendered with a new sense of ease and richness. Your eyes will not believe your ears. Come See Joseph Audio at CES 2016! 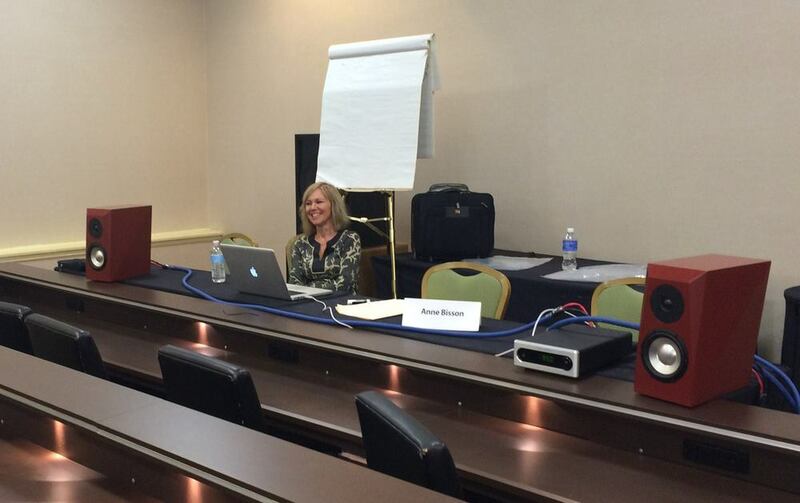 We'll be in Room 29-104 at the Venetian with Cardas Audio and Bel Canto Design. 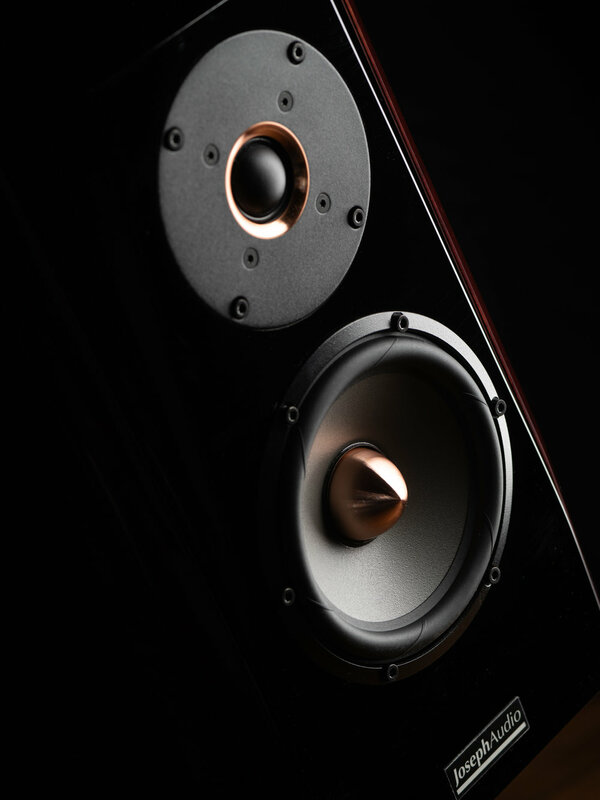 We'll be featuring the new Profile and Prism loudspeakers. Not to be missed! Joseph Audio returns to Munich for the European debut of the Prism! The Prism is a compact speaker that thinks it is a big speaker ! If you are attending High End 2015 please stop by and see us in Halle 4 Booth C17 and listen for yourself! Perspective on the Cover of Stereophile Recommended Components Issue! 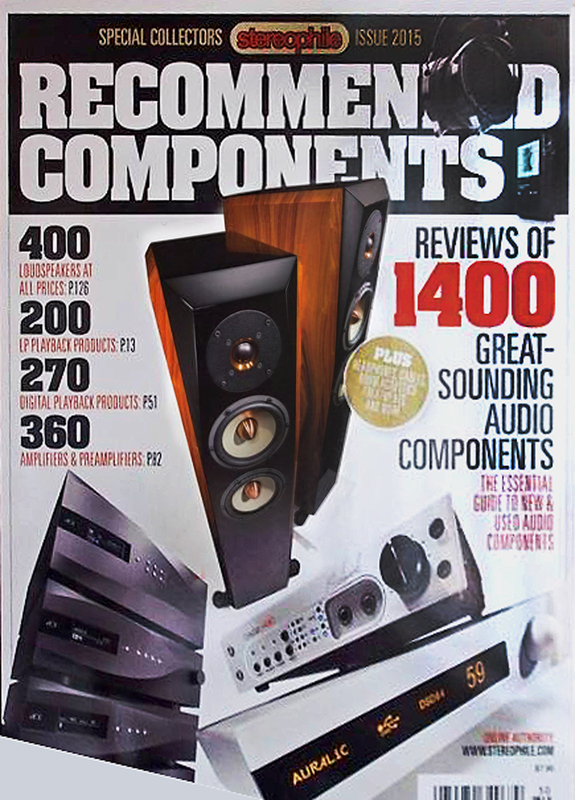 Our Perspectives are featured on the cover of Stereophile's Recommended Components Issue! John Atkinson stands next to the cover of the next issue of Sterephile, which includes the Joseph Audio Perspectives. Joseph Audio is at CES 2015! 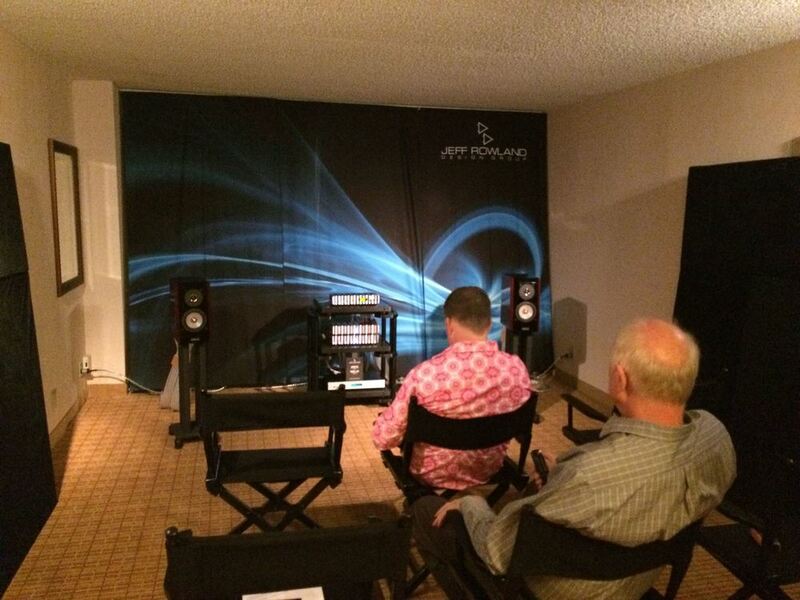 Joseph Audio is at the annual International Consumer Electronics Show in Las Vegas this week! Visit Venetian Suite 29-236 to hear our loudspeakers. The main exhibit features our award-winning Perspective floorstanders. See you there! Joseph Audio at Rocky Mountain! New Joseph Audio Prism and Profile! For those who have dreamed of owning Joseph Audio speakers, but couldn’t afford the award-winning Pulsars, we introduce the Prism! The Prism sets a new standard of performance in its price range. 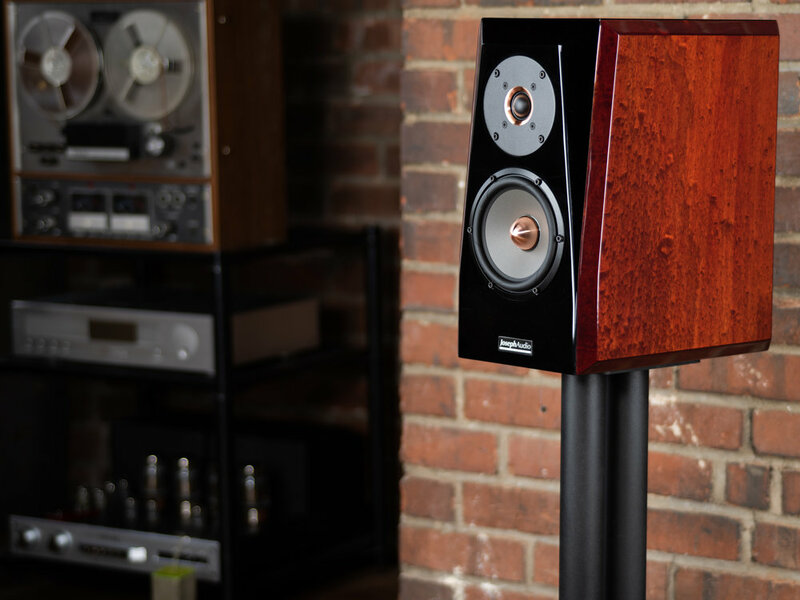 The slender Joseph Audio Profile tower speaker is a remarkable achievement in high end loudspeaker design. It brings a new level of sonic magic for the real world audiophile. The Prism and Profile are coming soon.